Simon Delaney is an Irish actor, director and television presenter. He is known for appearances in a range of films and television series such as RTÉ’s comedy-drama Bachelors Walk and CBS’ legal drama The Good Wife, and in the films Zonad (2009), Delivery Man (2013), and The Conjuring 2 (2016). Delaney hosts the TV3 morning show Saturday AM. Delaney’s early work includes being a “Ballydung Player” (one of the actors on A Scare at Bedtime). His first high-profile role was for the RTÉ television series Bachelors Walk as one of three bachelors living together in a flat on the quays in Dublin, which ran from 2001 until 2003 to positive reviews as well as a Christmas special in 2006. 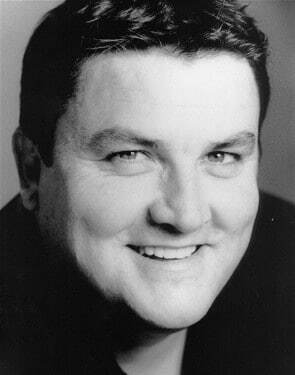 He appeared as Grogan in On the Nose in 2001 along with Dan Aykroyd and Robbie Coltrane. Delaney then starred as the title character in the film Zonad by director John Carney. He gained increased prominence due to a high-profile part in the Tesco Mobile Ireland TV advertising campaign. From 2009 to 2013, Delaney played Bill O’Brien in the cartoon mockumentary Roy, the BAFTA-winning, Irish television series about a cartoon boy. Delaney appeared in the Irish version of genealogy TV series Who Do You Think You Are?, which was broadcast on RTÉ One on the 19 October 2009. In October 2011, Delaney played an Anglo-Hiberno Lawyer in CBS’s The Good Wife. In January 2012, he appeared in the series Touch. In September 2012, he appeared in the comedy series Moone Boy on Sky 1. He played, Victor, the brother of the lead Vince Vaughn, in the 2013 film Delivery Man. In 2014, he played the role of Tom Crews in Mrs. Brown’s Boys D’Movie. He has also made appearances in the fourth and fifth series of Sky 1 sitcom Trollied, playing the role of Brendan O’Connor. He also toured with Mrs. Brown’s Boys in July 2015, with their live show How Now Mrs Brown Cow. Delaney was a judge on the RTÉ reality show Fame: The Musical. In February 2011, Delaney hosted the 8th Irish Film and Television Awards. He also hosted the 9th Irish Film and Television Awards in February 2012. Since 2015, he has co-hosted Saturday AM on TV3, alongside Anna Daly. Simon Delaney is an excellent presenter having hosted the 8th Irish Film Television Awards and TV3 morning show Saturday AM.